Probably the only statement in your letter that we can both agree on is where you say we are unlikely to agree. I do not lightly accuse anyone of betrayal but in this case it is fully merited and I am not alone in making it. You have been deluged with emails and messages of support for Jackie Walker, up and down the country. As you are fully aware, Momentum groups and supporters have given Jackie Walker their full support. Jackie Walker has been subject of a Zionist political lynching for months because of her opposition as a Black-Jewish woman, to Zionism. She has been race baited by Zionists who deny a Black person can be Jewish. Not once has the Jewish Labour Movement condemned this abuse by their supporters. 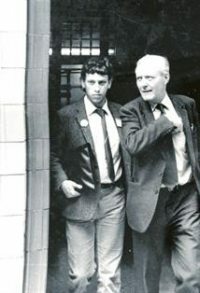 If Jackie had spoken of her ‘nightmare’ that Britain might one day have a Jewish Prime Minister, then there would be grounds to accuse her of anti-Semitism yet Jeremy Newmark has no criticism of the ILP. You have repeatedly been quoted in the press as being ‘at the end of your tether’ with Jackie. You have engaged in a deliberate process of leaking in order to create a climate that enables the removal of Jackie as Vice Chair. You have gone out of our way to undermine her position, for example with the article Jackie Walker’s position is untenable, she should go on the Left Future’s site which you edit, by Andy Newman. What I find particularly outrageous is the Independent article which states that Jackie ‘had been secretly filmed at a Labour anti-Semitism event appearing to criticise Holocaust Memorial Day for commemorating only Jewish victims’ You went on to say that ‘ “I spoke to Jeremy Newmark of the Jewish Labour Movement this morning, he’s very upset and I can understand that – I work closely with Jeremy, … I was very, very unhappy about… and I did comment on it, about it, what she had previously said. This is an organisation which is an emanation of the Israeli state. Whose recently appointed Director, Ella Rose, came as a transfer from the Israeli Embassy. 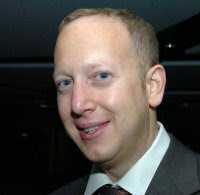 Jeremy Newmark believes it is “ ‘rather odd” to suggest that the organization should have no contact with the embassy.’ Most people consider that working with the Israeli Embassy as being odd. What is outrageous is the fact that participants in a Labour Party approved JLM ‘training session’, should have been secretly filmed with the film being leaked to the media. This is what is really outrageous yet you have nothing to say about it. Newmark claims to be ‘upset’. Do you seriously believe this of someone who has race baited Jackie Walker for months? More likely delighted. By your own admission nothing Jackie said was remotely anti-Semitic. On the question of HMD she was correct. As we wrote in our letter to you, Zionist historians and ideologues have long argued that the Nazi holocaust is a Jewish only event and in practice HMD has excluded not only commemoration of the Gypsy and Disabled holocausts but the mass genocide of Africans, in the slave trade and the Belgian Congo. Jackie’s comments about the security around Jewish schools are equally valid. I have also expressed concerns about the deliberate hyping of fears of parents concerning anti-terrorism in order to build a climate of insecurity that enables Israel to then step forward as the ‘protector’. What is particularly outrageous in your letter is the suggestion that Jackie should answer to a charge she has already been acquitted of, viz. her private Facebook discussion on slavery and her Jewish ancestors’ involvement. Have you never heard of the legal principle of double jeopardy? Jackie’s private discussion was broken into by the Israeli Advocacy Movement, a group funded by the Israeli state. It was a conversation with a Jewish (& Zionist) friend and the context of her comment lay in particular aspects of the slave trade. Seymour Drescher, who is one of the world’s foremost academics on the slave trade held that at its height 17% of the Dutch slave trade was financed by Jews. You can find this in the Jewish Journal not the Nation of Islam. Or is the truth anti-Semitic? What caused offence were not Jackie’s comments but the deliberate distortion of them and the wide publicity given to these distortions by people like Jeremy Newmark, a man who has previously falsely accused the University Colleges Union of ‘anti-Semitism’ and then lied on oath to an employment tribunal. A man whose evidence was described by Judge Snelson as ‘preposterous’ and ‘extraordinarily arrogant but also disturbing’. This is the man whom you trust more than your own Vice Chair. I find it extraordinary that you say that ‘the party would want to investigate the matter’ as if this is some neutral judicial investigation. Iain McNicol, the party General Secretary has suspended thousands of Jeremy Corbyn supporters to prevent them voting yet you are quoted as supporting him remaining in post in today’s Observer and now apparently you believe the disciplinary process is fair and honest. 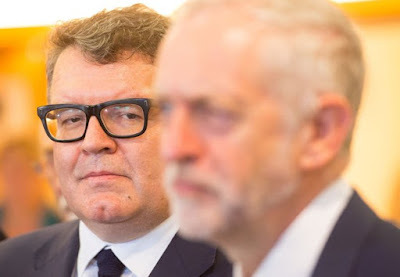 You are also quoted as supporting Tom Watson. You speak of a ‘a loss of confidence’ in Jackie by her colleagues on the Momentum Steering Committee. I can assure you that this is as nothing compared to the loss of confidence that there will be in you if Jackie Walker is removed as Vice-Chair. Jackie Walker has the full confidence of Momentum’s membership. You say that ‘none of the issues of concern above relate in any way to Israel, Zionism or the Palestinians’. The sole purpose of the JLM is to defend Israel and Zionism and their method in so doing is by attacking their opponents as anti-Semitic. Despite their claims, the JLM have never once criticised the Israeli government, its apartheid policies or the military occupation of Palestinian territories. I find your response and your behaviour truly shocking. I only hope that, even at this late hour, you reconsider your decision to throw Jackie to the wolves. I accept on previous experience that we are unlikely to agree, as your language of betrayal and accusations of throwing people to the wolves makes clear but shall nevertheless respond. However, I do not intend to get into a lcorrespondence. I note your concern about the allegations which have led to her suspension by the Labour Party. So far as I know, the reasons for the suspension have not been made public. Having read reports of what Jackie Walker is alleged to have said and having listened to the leaked video, I do not regard any of the comments she appears to have made, taken individually, to be antisemitic though I do regard her comments on Holocaust Memorial Day and on the security of Jewish schools to be ill-informed, ill-judged and very likely to cause offence. I imagine however that the party is likely to take into account her earlier comments about Jews and Slavery which included the comment “many Jews (my ancestors included) were the chief financiers of the sugar and slave trade”. I do regard this comment as much more problematic since it is extremely similar to a widely repeated antisemitic trope associated with the publication "The Secret Relationship Between Blacks and Jews” published by the Nation of Islam. Although I personally accept Jackie’s personal explanation for this comment - being in the context of a seemingly private discussion (albeit on Facebook) about her own ancestors’ involvement in slavery as both victims and perpetrators - I do not find it surprising that it caused many others great offence and was widely regarded as being antisemitic. In such circumstances I think that Jackie should have been very careful about further statements on this and related subjects whatever her record as an anti-racist. 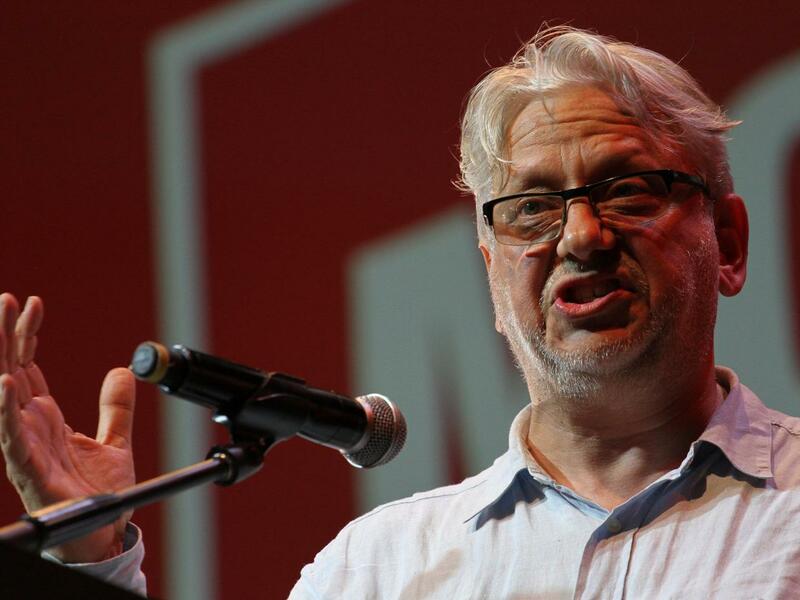 I think it is inevitable that the party would want to investigate the matter following on a reported complaint by a left-wing trade union general secretary. Like Jeremy Corbyn, I take allegations of antisemitism very seriously. However, I certainly hope that the party will apply the principles laid down in the Chakrabarti report in doing so and would argue that if there are any indications that it is not doing so. As far as Momentum is concerned, I am afraid that the consequence of Jackie’s actions has been a loss of confidence in Jackie’s judgement by a number of her colleagues on the Steering Group which elected her as Vice Chair. We are convening a meeting of the Steering Group tomorrow to enable Jackie to respond to concerns and to consider what action to take on which subject I note your views. I would add that none of the issues of concern above relate in any way to Israel, Zionism or the Palestinians, and we have just had a conference in which Jeremy has been congratulated for his interventions on antisemitism in his speech and at meetings with Jewish organisations. 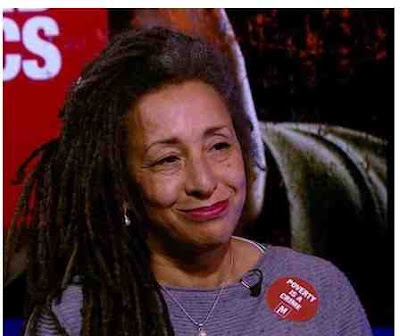 We are seriously disturbed by the report in the Guardian Momentum likely to oust Jackie Walker over Holocaust remarks and a similar report in the Independent that ‘Senior members of Momentum are "fuming" at her remarks’. It is your duty not to betray comrades.